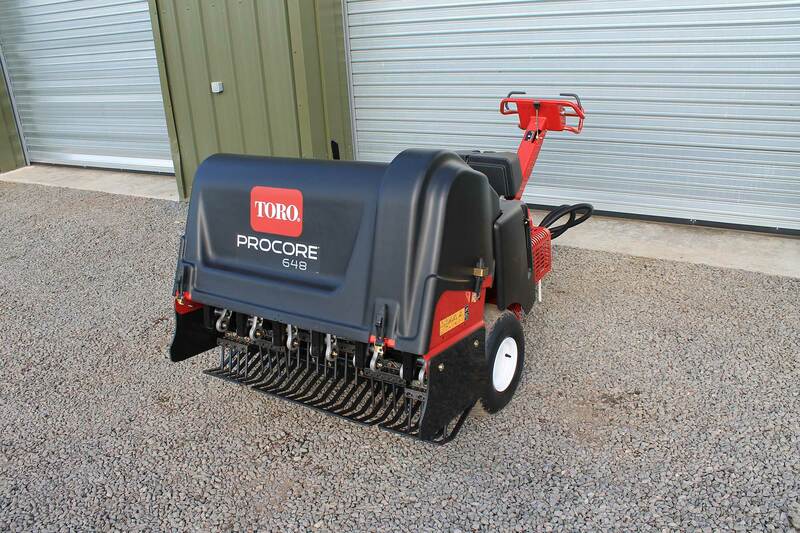 Toro ProCore 648 aerator for hire. 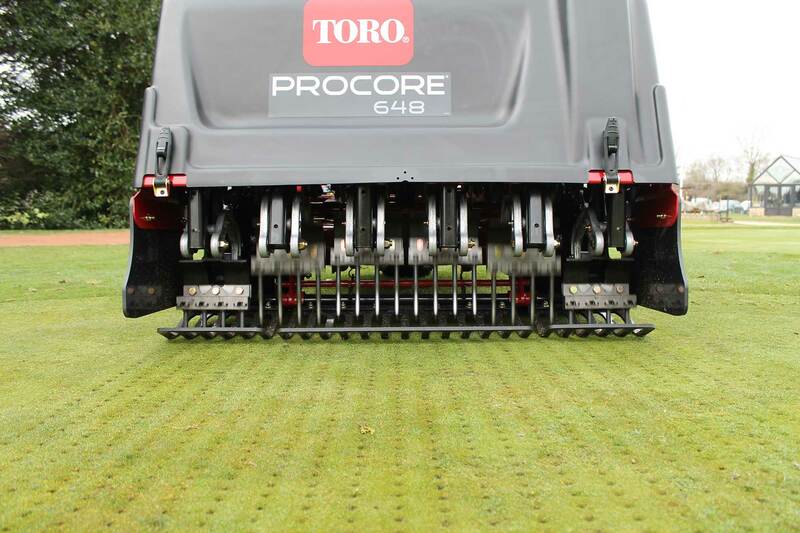 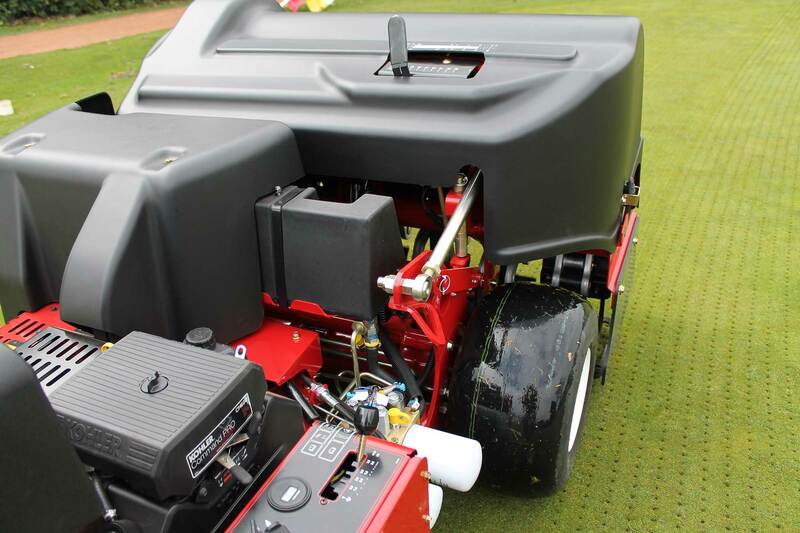 The ProCore 648 positions the wheels in front of the aeration head so the machine doesn’t run over cores or freshly aerated turf, preventing damage and making the core collecting easier. 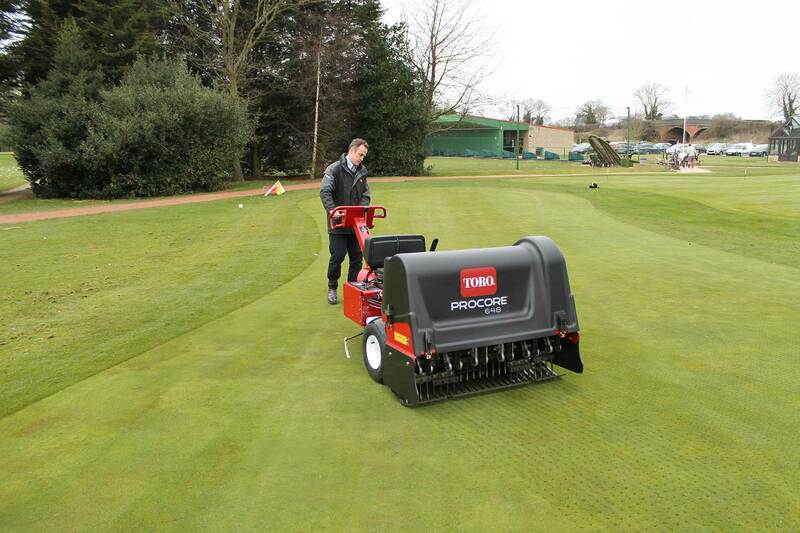 Consistent coring depth is achieved through the TrueCore™ ground following system. 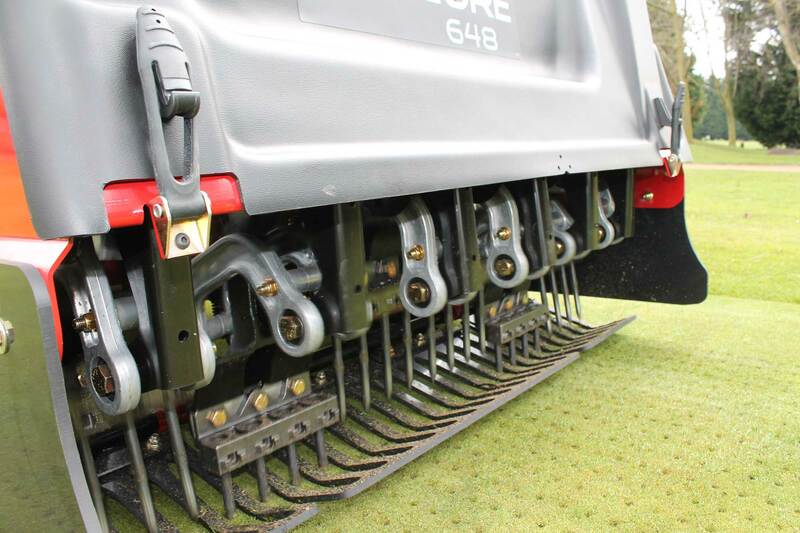 The individually floating turf holders prevent turf lift when the tines exit the ground to maintain a true and level surface. 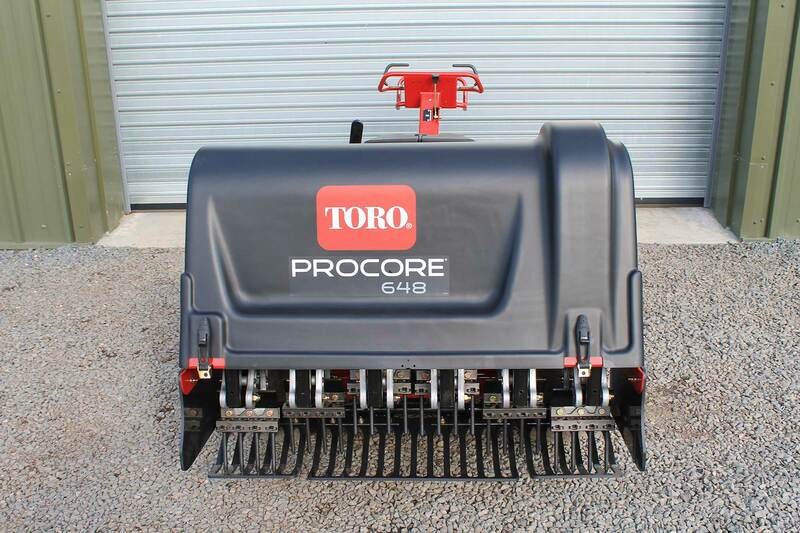 With a wide coring swath, brisk speed and faster cleanup, the ProCore 648 is the most productive walk aerator for your golf course. 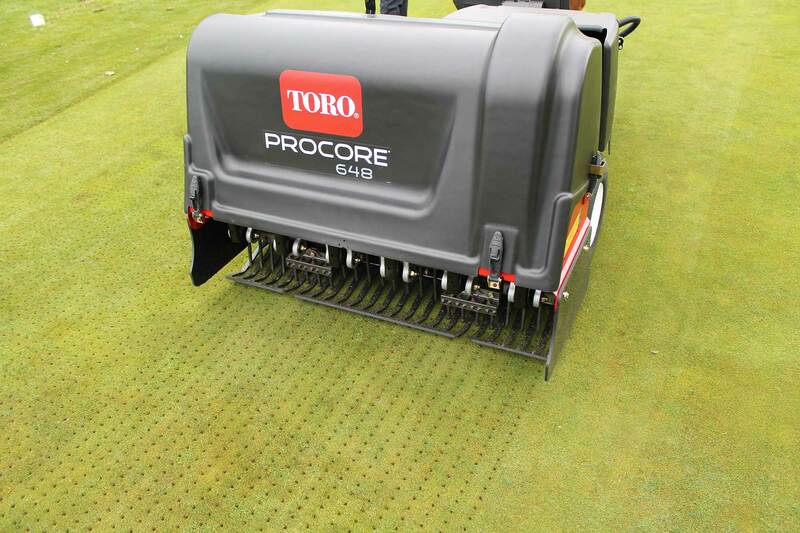 This machine can aerate 18 greens in around 7 hours. 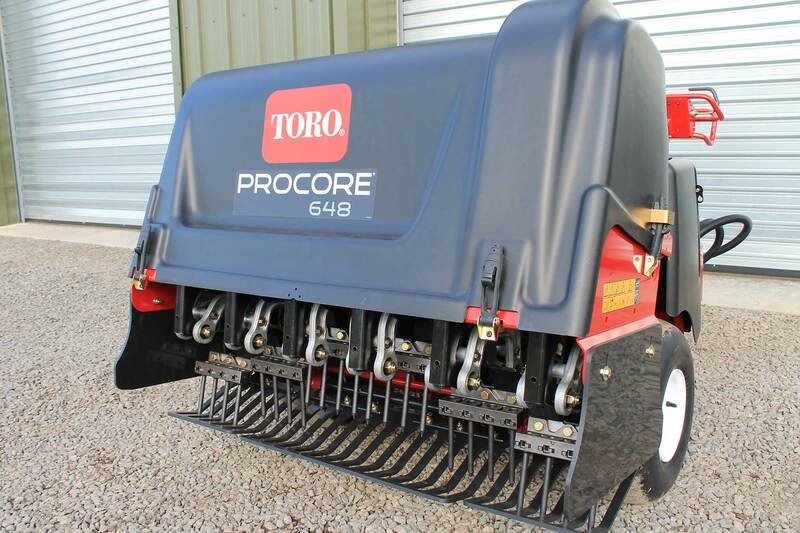 We have Toro ProCore 648 Trailers for sale.